Sam Evans ’17 had intended on pursuing computer science as a potential major. However, each of the four times he registered for a course in the department, he was denied enrollment as there were more students registered than spots available. In recent years, the college’s department of computer science has seen enrollment rise at a rate which the faculty has struggled to keep up with. Professor and Chair of computer science Tia Newhall described the growth as a large-scale phenomenon affecting colleges across the country. “It’s a national trend. Computer science departments across the country, and probably internationally as well, are growing,” Newhall said. According to a 2017 publication of the National Center for Education Statistics, the number of bachelor’s degrees obtained in computer and information sciences increased 50 percent between 2009-2010 and 2014-2015 as compared to a 15 percent increase in all other disciplines combined. Other colleges have reported a similar strain on their computer science departments to adjust to the sudden popularity. The University of California, San Diego, for instance, has seen the faculty-to-student ratio within its computer science department drop to 1-to-44, according to a May 2016 article in the The San Diego Union-Tribune. Swarthmore associate professor of computer science Andrew Danner noted that the median class size in computer science falls between 30 and 40 students whereas the median class size across all disciplines at the college is roughly between 10 and 20 students. The college’s 2015-2016 common data report recorded that 41.9 percent of classes in all subjects are sized between 10 and 19 students. According to Newhall, the number of computer science majors has spiked from an average of 12 majors per year to 55. In the sophomore class, she estimated that there will be around 55 majors. “I don’t think we’re ever going to go back to the numbers that we’ve had in the past where we had maybe twelve majors a year,” Newhall said. Professor and Department Chair of English Peter Schmidt believes that the enrollment growth in computer science is indicative of a general increase of interest in STEM programs. Still, he does not feel that the enrollment boom in natural sciences has taken resources away from humanities. Instead, he worries that the growth of STEM programs may result in a disproportionate number of majors in the natural sciences as compared to the humanities and the social sciences. According to a 2015 article in the Phoenix, the percentage of humanities majors in the class of 2015 was 18 percent, the lowest rate in decades. How this rate will change in response to the recent growth in STEM majors remains a question. Katherine Huang ’18, a computer science major and student assistant in the department, observed that the growth of the department has spiked since her first year at Swarthmore. “When I took CS 21 [Introduction to Computer Science], the room was maybe half-full,” Huang recalled. Huang believes the sophomore class has felt the worst of the growing pains. “The year that’s been hit hardest is probably the sophomores because sophomores are usually eligible to take some upper-level courses, but this time around, they really can’t because juniors and seniors are in them,” Huang explained. 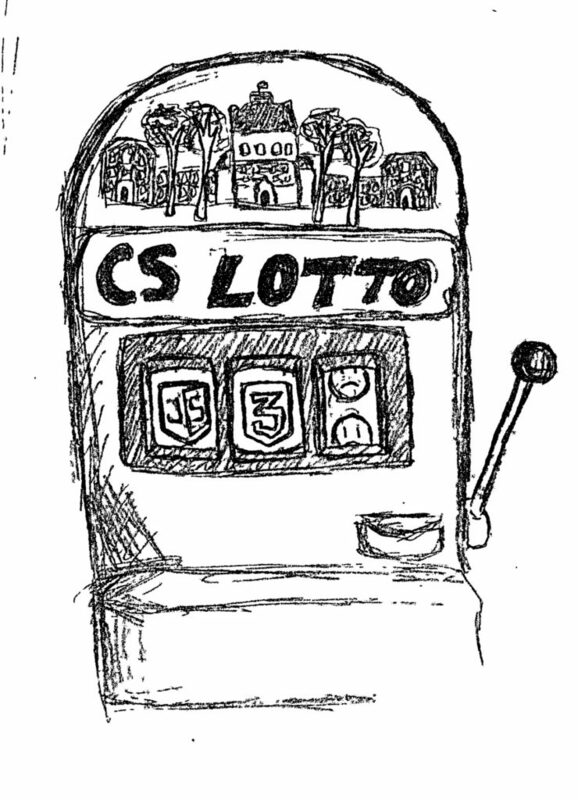 Amy Shmoys ’19, who recently applied to the computer science major, expressed her concern with being lotteried out of upper-level courses. “I’m definitely very nervous about being lotteried out; it’s a very realistic thing,” she said. Shmoys, who was lotteried out of CS 63: Artificial Intelligence this semester, does not feel that she was denied a key opportunity since she had luck in the lottery system in a class she finds interesting. “It’s not so much that I’m missing out on learning stuff; it’s that the order is [unpredictable]. You pick and choose, and you get into different stuff,” she said. According to Newhall, now more students enroll in introductory courses than can be admitted into the class, so students in over-subscribed classes are selected via a lottery system. “I think it’s unfortunate that we have to lottery students out of CS courses at Swarthmore right now,” she said. Newhall believes that enrollment in computer science is growing because the skills taught are applicable to a wide range of subjects. Newhall expressed her regret that more students cannot take CS 21, explaining that the problem-solving techniques taught in the introductory course are applicable to a wide range of disciplines. “We like having and want to have a more diverse student body in CS 21. [There are] students who may go onto major, students who may never take another CS course again, students who may use programming and computational skills directly, and students who may just use it indirectly,” Newhall said. The wave of enrollment has also affected the format and size of upper-level courses. According to Assistant Professor Ameet Soni, the department must cap enrollment in upper-level classes at 40 students due to availability of space. Newhall stated that the program can no longer offer seminar courses as a result of the large number of students trying to take them. “We used to have, for the senior comprehensive, a senior seminar, and we just can’t offer it anymore. We don’t have the faculty resources to offer an upper level class that’s capped at 12 or 15 [students],” she said. There have also been changes to the honors computer science program to make up for the removal of two-credit seminars from the course offerings. According to the college’s description of the honors major requirement, students must now complete two two-credit preparations, which entail combining two advanced courses from a preapproved list. The structure of the preparation emphasizes the material of one course over the second, so that there is one “focus” course and one “breadth” course. Soni stated that the department recently adjusted its requirements, so that students do not have to take the courses simultaneously as this has brought about scheduling difficulties for students. According to Danner, the department hires visiting professors frequently, and it has each professor teach an upper-level course concentrated in their research area during the visiting period. However, he explained that, since visiting faculty are hired for only two or three years at a time, it is difficult for the department to plan courses in advance, so student majors are met with uncertainties when planning their academic track. Regardless of these changes, Soni observed that the honors computer science major is not very common. “We’ve noticed that there [are] not as many students interested in pursuing honors,” Soni said. Huang expressed a similar observation. “Honors CS is pretty rare because CS is such a young field, but now it’s not really possible,” Huang said, reasoning that with the elimination of seminar courses, students are less likely to seek an honors major. At all class levels, professors have had to adjust their styles of teaching in order to cater to the increased numbers of students in their classes. Soni describes how technological aids have allowed him to retain some aspects of discussion-based learning in his classes. “We’re bringing more technology into the classroom in order to help us. Ironically, most of us did not use PowerPoint until a few years ago,” Soni stated. According to Soni, when he first started teaching in the department in 2011, many professors taught from chalkboards. Now, they have switched to screens. Soni videotapes lectures and posts material online before class periods for students to review. He explained that, in this way, students are prepared for the topics covered during class, so he can devote more of the hour to engaging students in exercises and small-group discussions. Soni believed that the peer instruction format, which entails a student-centered approach to learning that emphasizes application of material over pure lecture, allows students to interact more directly with one another and learn collaboratively. “The reason it’s called peer instruction is [because the students are] talking to each other and learning the ideas together and grappling with some of the murkier questions,” Soni explained. Soni also mentioned that many professors now employ classroom response devices, or clickers, in their larger classes in order to gauge students’ understanding. Danner noted the helpfulness of the technology. “More faculty are using clickers in the classroom to get quick feedback from the class. It’s hard when you have a sea of 50 to 60 people; it’s very anti-Swarthmore,” he said. Soni noted that professors have used the smaller format of lab sections to work with students individually. He said that, in spite of the growing enrollment, the department has been able to offer more sections of each lab and has kept the sections at manageable sizes. In addition, a new computer science lab was constructed in Clothier Hall. “I think a lot of our changes have been [concerned with] trying to still maintain the contact we have with individuals in the class as opposed to losing them in the sea of students,” Soni explained. Newhall praised the learning opportunities a small class can provide. “There’s just more opportunities in a smaller class for students to do presentations [and] in-class work, and then go around and look at what other students have done,” Newhall said. The department hopes to hire more faculty to bring down class sizes in response to the enrollment boom. However, Newhall does not believe that the pace at which the department can hire faculty has kept up with the rate of growth. “It’s kind of a slow process. It’s not keeping pace with how quickly we’re growing,” Newhall said with regards to the procedure for hiring tenure-track positions. According to Provost Tom Stephenson, the tenure process is intended to be slow since professors often hold positions for extended periods of time. “The process for adding tenure lines is designed to be slow and deliberate, so that we can make these commitments, which can last for the careers of a faculty member, carefully,” Stephenson said. Newhall suggested that, despite the boom in undergraduate enrollment, there hasn’t been a consequent increase in candidates seeking tenure. “There are lots and lots of positions, but there hasn’t been a big increase in the number of PhDs produced. So there’s fewer candidates for every position out there,” Newhall stated. According to the National Center for Education Statistics, between 2009-2010 and 2014-2015, the number of doctoral degrees conferred in computer science only rose 25 percent, as compared to the 50 percent increase of bachelor’s degrees obtained during the same time period. Additionally, the rates at which bachelor’s and doctoral degrees are awarded in any discipline have increased by similar percentages, each around 15 percent. Currently, there are several visiting lines in the department, and Newhall would like to see these professors gain more permanent positions. “This semester, more than 50 percent of our courses will be taught by visitors … We’d like to change that percentage over time, and we’d like to be able to offer more courses … We certainly recognize what the issues are, and we wish we had more faculty resources to help,” Newhall said. In spite of increased class sizes, students in the department are pleased with the attention they have received from professors. “I always felt like my professors were there for me whenever I needed them,” Huang said. Shmoys also expressed her satisfaction with faculty teaching. Even so, Shmoys noted the difficulty of interacting with professors on an individual basis during class periods. “If you make the effort to go and see [professors], then it’s very easy to have a relationship with the professor, but you don’t get it as much in class,” she said. On behalf of the department, Newhall reflected on the responses of faculty to the increase in enrollment. “We’re trying to do what we can do, given the numbers of students that we have and the number of faculty resources that we have. It’s not what we’d like to do necessarily, but it’s what we can do,” Newhall asserted. Huang expressed her wish for a more stable future for the department. “I hope that the CS department will be able to find its balance in hiring faculty and holding classes,” Huang affirmed. In the face of spiking student enrollment, the computer science department has had to make sacrifices as it struggles to maintain a new equilibrium. The future of the program remains uncertain, but students feel adequately supported by the department in spite of its changes.